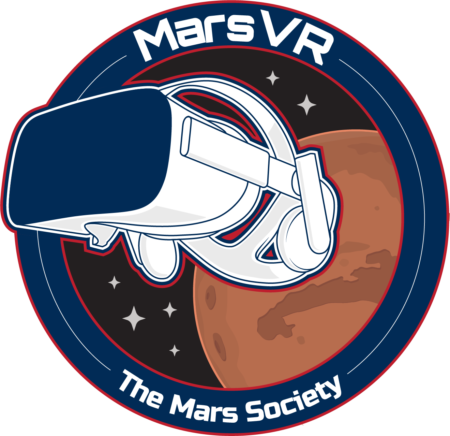 In order to help develop key knowledge needed to prepare for human Mars exploration, and to inspire the public by making sensuous the vision of human exploration of Mars, the Mars Society has initiated the Mars Analog Research Station (MARS) project. Mars Analog Research Stations are laboratories for learning how to live and work on another planet. Each is a prototype of a habitat that will land humans on Mars and serve as their main base for months of exploration in the harsh Martian environment. Such a habitat represents a key element in current human Mars mission planning. Each Station’s centerpiece is a cylindrical habitat, "The Hab," an 8-meter diameter, two-deck structure mounted on landing struts. Peripheral external structures may be appended to the Hab as well. 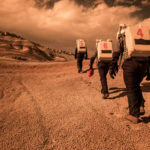 Each station serves as a field base to teams of four to six crew members: geologists, astrobiologists, engineers, mechanics, physicians and others, who live for weeks to months at a time in relative isolation in a Mars analog environment. Mars analogs can be defined as locations on Earth where some environmental conditions, geologic features, biological attributes or combinations thereof may approximate in some specific way those thought to be encountered on Mars, either at present or earlier in that planet’s history. Studying such sites leads to new insights into the nature and evolution of Mars, the Earth, and life. 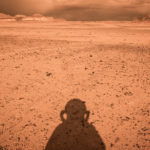 However, in addition to providing scientific insight into our neighboring world, such analog environments offer unprecedented opportunities to carry out Mars analog field research in a variety of key scientific and engineering disciplines that will help prepare humans for the exploration of that planet. Such research is vitally necessary. 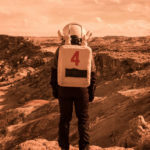 For example, it is one thing to walk around a factory test area in a new spacesuit prototype and show that a wearer can pick up a wrench – it is entirely another to subject that same suit to two months of real field work. Similarly, psychological studies of human factors issues, including isolation and habitat architecture are also only useful if the crew being studied is attempting to do real work. – Physical experiment: Physical program for the crewmembers. Every morning, we will perform physical exercises in order to stay in shape during our 3-weeks simulation and to analyze our performances. The protocol was defined with Eve Fabre, a post-doctoral fellow studying in human factors at the ISAE-Supaero and Gabriel Payen will handle the experimental procedure during the mission. Almost every day, Gabriel will set up all the devices required to record electrocardiogram, eye-movement, facial expressions and conversation of the players during the game. Throughout the three weeks, the crew will perform almost a hundred game trials. After the mission, all the recorded data will be analyzed by the researchers at the ISAE-Supaero in order to improve our knowledge on group problem solving during spatial missions. – Rover experiment: The goal of this experiment is to analyze the evolution of the learning curve when controlling a rover. Remotely controlled rovers are widely used in space missions for different purposes: explore the surface and the environment of the specific celestial body, take samples, carry objects to some place, among other things. Due to its importance on present and future space trips, it is essential to analyze how the crew improves their skills when remotely controlling rovers. The obtained results will be useful for the design of different rovers’ aspects (controllability, maneuverability, size, appendixes) on future space missions. – Emergency procedures experiment: As the environment can be hostile (non-sterilized area), the situation is often stressful (an important loss of blood for instance) and first aid equipment is, by definition, very restricted. It seems necessary to learn how to apply some basic care gestures before the arrival of more important rescue resources, or waiting for the repatriation of the injured person. That’s why during the mission Laurent would like to apply and to adapt some first aid techniques he learned during his three years working as a lifeguard (as volunteer fireman): Emergency release and transport of an injured person, Immobilization of the spine axis, Containment of an external hemorrhage, Processing of an unconscious person and spacesuit removal, Processing of a heart attack, Processing of bones and joints traumas. – Sociomapping experiment: During our simulation, the crew will be monitored and the team dynamics studied. Sociomaps allow visualization of continuous communication approaching and drifting apart between individual crew members. The crew evaluated its mutual frequency of current communication, desired frequency of optimal communication as well as development trends and quality of this communication on given scales. Results will be transformed to summarizing parameters which allowed to study communication and to detect significant changes which in turn are predictors of possible failures and misunderstandings. Psychometric assessment of Sociomapping as a diagnostic tool for analysis of communication dynamics leads to proposal to use it for continuous regulation analysis, short-time prediction and eventual intervention which protects from critical deterioration of communication and team atmosphere. – EVA Logger experiment: As during an EVA, time is precious you want to manage it as well as possible. But more importantly, you want to keep your arms and your eyes available at all time. No time for instance to take notes. You have to manage your time, but cannot write down and then keep track of events easily, while it would be convenient to have some, to be able to debrief the EVA, while being back on the hab. The EVA tracking system is here to try to answer these problems. It will use a sense that is partially available on the outside, except during communications: hearing. Using an easy to use mobile application, we will then keep track of EVA events. – EVA efficiency experiment: The idea is to assess, for each of our EVAs, this index in order to understand the importance of each task (preparation and debrief). This index is used in the document “Exploration Systems Mission Directorate – Lunar Architecture Update” – AIAA Space 2007 September 20, 2007, chapter “Extravehicular Activities (EVA) and Pressurized Rovers, Mike Gernhardt from NASA Johnson Space Centre analyses EVAs efficiency. The WEI is the ratio between EVA duration and the total duration of preparatory activities and activities post EVA. The EVA duration is defined as the time spent out of the spacecraft or in case of an EVA on a planetary ground as “boots-on-surface” which means that time in the airlock is not taken into account. – LOAC experiment: The LOAC instrument (Light Optical Aerosol Counter) is used to measure the air’s concentration in aerosols (fine particles in suspension, between 0,2 micrometers and 100 micrometers approximately). It gives the size distribution of these particles as well as an indication of the typology of the particles (carbon, mineral, salt, liquid). The goal of this experiment is to use this instrument in different conditions to get new measurements and analyze their meaning. 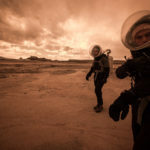 There will be outdoor measurements, mainly to get information about the airborne dust (such measurements are not comment in the Utah desert), and indoor measurements to see how the air quality of a confined space changes according to the activity crew members do (cooking, changes during the night, particles brought when coming back from an EVA and taking off the suit, etc.). – Localization experiment: The aim is to provide a simple localization system. It could be considered as a rescue solution as it would be used when a member of the crew is lost. It will consist in 4 transceivers. Each one of them will be either attached to a stratospheric balloon that will enable them to go 50-100m above the ground or to the member itself. For the first experiment, the aim will be to provide a solution to locate the user and guide him to the station in case he has no other way to find his way back. Transceivers will be placed previously and accurately around the station. For the second experiment, the user will put transceivers all along his path from the MDRS to the farthest point of his trip. The aim will be for him to get back on his track. For the third experiment, all the users will be equipped with transceivers. The aim is to locate and rescue your team mate. – MegaARES experiment: MegaARES (Mega Atmospheric Relaxation and Electric field Sensor) is an instrument developed by Grégoire Déprez and his team of researchers at LATMOS (Laboratoire atmosphères, milieux et observations spatiales), France. Several versions of ARES have been developed before, among them MicroARES, the most developed one. It was Scientists of the LATMOS team have to wait for the next Martian mission and want to use this time to improve MicroARES performances. As MicroARES couldn’t work on Mars as it was supposed to, analog missions are the best opportunities to work on the device. Through MegaARES, specially developed for Earth measures, data recording and analyzing, hardware etc., can be tested during a relatively long duration in MDRS station. – Solar panels experiment: The performances of solar panels are very sensitive to the obstruction of the photovoltaic cells. Every object casting a shadow on them can block incoming radiation and lead therefore, to a lower electricity output. So comes the issue of dust. After the solar panel’s deployment, dust accumulates on the solar panel and reduces its effective surface, and therefore, its performances. Usually, solar panels are covered with a thin layer of hydrophobic coating so that the rain can evacuate dust. Nonetheless, areas exist, like deserts or extraplanetary lands, where rain is too infrequent (or inexistent) to rely on. So, how can we protect solar panels from dust in that case? Two alternatives have been developed, relying on the same principle: an automatic system moving along the solar panel to clean it. The first alternative consists in a blowing air system, and the second, in a rotating microfiber brush system. I will experiment the second one. During our mission, I will measure the performances of both a solar panel protected from dust and a solar panel exposed to dust (in a natural way or artificially, in order to simulate the Martian low gravity) and compare them to really emphasize the influence of Martian dust. Then, I will equip the solar panel with the rotating microfiber brush system I built and I will measure its performances again to highlight the benefits of such a device. 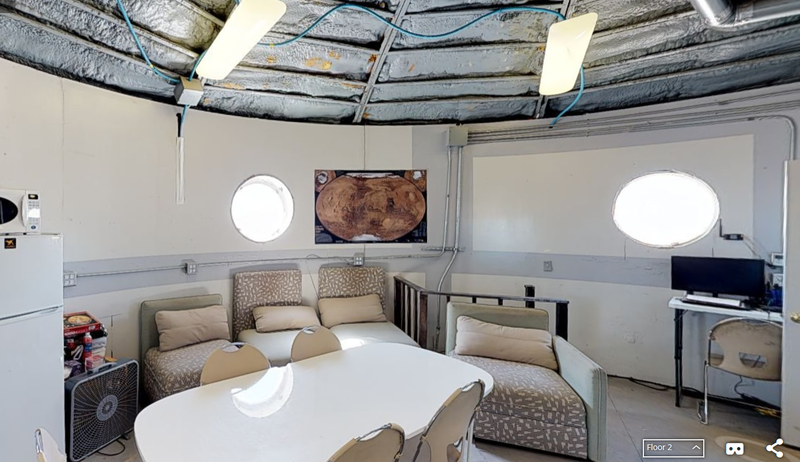 – Time analysis experiment: This experiment will aim at studying the day to day activities of the crew (experiment has been done in MDRS 7 and MDRS 43 on some crewmembers). My goal is to analyze the activities, their duration and our planning in order to see the evolution of the crew during our simulation and our efficiency depending on our activities. – Task performance experiment: The goal is to evaluate the increase in the time in order to do a given task in EVA compared to what it requires outside EVA. In order to perform this experiment, I have contacted the RoverCal association. The task I will evaluate will be the start of the rover and the driving. In conclusion, we have many experiments related to the human factors and the EVAs efficiency. We will analyze the impact of the isolation and the confinement on our efficiency. What brings this team together is our common dream of space exploration. After spending 2 years in our aerospace engineering school in France, our crew understands the importance of defining roles within a team and will learn to cope with high-stress situations in small living spaces. 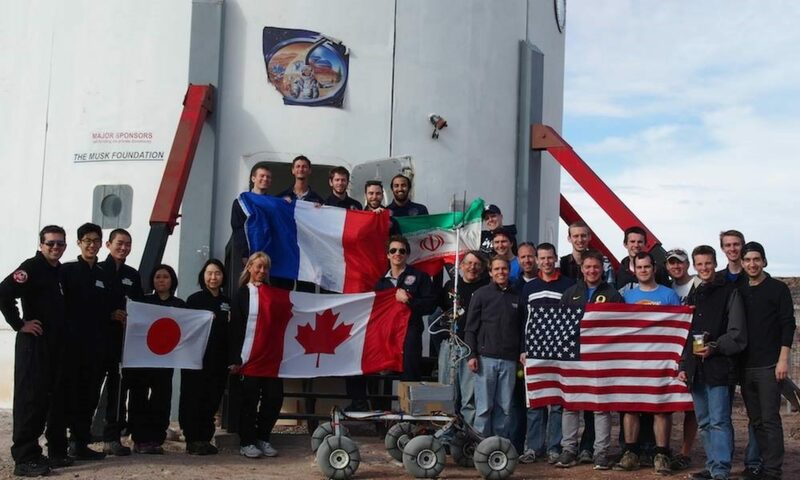 Completing a mission together at MDRS will challenge us to improve our professional communication while expanding our friendships and our shared passion for exploration. appréhensions. Après cette longue discussion, il était temps pour tous d’aller dormir, à l’exception de Louis qui allait nous préparer une séance de sport aux petits oignons le lendemain matin. Laurent, Jérémy, notre commandant Louis et moi-même avons donc été les premiers à quitter le Hab. L’EVA se décomposait en deux tâches principales : explorer les alentours de la base, et trouver des endroits où déployer les expériences de Jérémy et Gabriel, qui nécessitent des conditions climatiques particulières. Après avoir difficilement enfilé nos combinaisons, radios et casques, il était l’heure de saluer Victoria, Gabriel et Benoît et d’entrer dans le sas de pressurisation. 3 minutes plus tard, nous pouvions ouvrir la porte, et nous découvrions enfin le paysage martien. Restait 2 marches à descendre, et j’ai eu la chance d’être le premier à fouler cette nouvelle terre. Après avoir accompli quelques tâches mineures autour du Hab, nous pouvions chevaucher les rovers et nous éloigner de la station. Nous nous sommes arrêtés plusieurs fois au bord de la route afin de rechercher l’endroit parfait pour déposer les instruments de mesures des diverses expériences, aussi un rocher en forme de champignon pour supporter nos camarades de l’ISAE-SUPAERO sélectionnés pour passer devant Julien Lepers. Nous nous sommes éloignés un peu plus dans la dernière partie de l’EVA : nous avons décidé d’escalader le plateau qui surplombait la station, afin de bénéficier d’une vue globale sur la région. Et la vue valait le coup, même si j’ai failli perdre un de mes poumons pour y parvenir … Et alors que Jérémy prenait quelques dernières photos, Louis semblait avoir quelques difficultés à se remémorer le chemin du retour vers les rovers, qui a donc pris un peu plus de temps que prévu. L’EVA touchait à sa fin, et nous étions à nouveau sur la route du Hab, aveuglés par la buée sur nos casques et frigorifiés par le vent qui s’inflitrait sous nos combinaisons. Nous sommes donc rentrés dans le sas, avons attendu la pressurisation, et nous sommes finalement rentrés dans le Hab, où nous avons enfin pu retirer nos combinaisons humides. Une chose était sûre, le sommeil ne sera pas dur à trouver après cette journée éprouvante ! Alexandre Martin, journaliste du Crew 189. I’m Gabriel, and here is my Operation report. This afternoon an experiment had trouble with an ethernet hub. We’ll try to fix it tonight or tomorrow. During the engineering check all backpack seemed to be nominal but a fan on backpack 4 turned out of service during the EVA. Tomorrow the crew will be very busy, but we are planning an important backpack fixing operation during the upcoming days. The flow seems to be reduced, the bucket was empty this morning and at 50% tonight. This morning it was very difficult to control the roof heater. Sometimes the flow became tepid or even cold without any reason because the furnace stops running. I’ve turned on the wall heater which runs all day. Water (static) – 400 gallons (checked during the EVA). General notes and comments: Very busy today with my own experiments. As soon as possible (from sol 3 I hope) I’ll begin to deal with non-nominal systems (fan, pipe, hub, furnace…). Here is our first EVA’s reports. We experienced a better weather than expected so that we were able to stay longer on the outside and visit the surroundings! I can say that I am already very proud of my team. After the birthday celebration of my colleague Louis, yesterday evening, the whole crew spent a first good but quite cold night on Mars. This morning, we did our first physical training orchestrated by my amazing fellow crewmate Louis Mangin. It was a perfect preparation for our first morning in simulation. We were all busy this morning, everyone at his post: the LOAC experiment being fixed by Jérémy and the MegaARES experiment being assembled by Gabriel on the lower deck, the mission planning being determined upstairs after our first brainstorming ever on the Red Planet. With Jérémy, we spent some time, adjusting the spacesuit to put a camel bag with sugared water just in case of a hypoglycemia during his first EVA. After only two days, the rehydrated food seems to be accepted and liked now (perhaps the birthday cake I cooked yesterday helped)! I was glad to discover that my fellow crewmember Benoit is a really good cooker! Let’s see what we will cook during our mission! 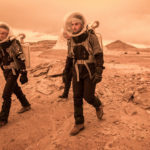 As I and Louis already took part in the simulation last year, Louis was our first EVA leader and I was Habcom in order to teach our new Martian crewmembers what we already know. With Louis, we gave a little briefing about the spacesuits and the EVA protocols but I am sure we will do better after some EVAs. The first EVA team went outside the Hab this afternoon and guess what? We managed to respect our time scheduling from the first EVA! The EVA team, led by Louis, managed to find a good spot for the MegaARES and LOAC experiments. We also tested the EVA Logger experiment of Louis and I am sure it will be a very helpful instrument during each EVA ! As you can imagine, Sol 1 was especially encouraging! I cannot wait for tomorrow to explore again the red cliffs of Mars with this new amazing crew! After this first entire day in simulation, it is obvious that the whole crew is well installed on Mars! We will deploy our first experimentstomorrow, stay tuned! Sol Activity Summary: First physical training, first EVA. We started our day by the very famous physical training of the ISAE Supaero crews. After a nice morning working on our mission planning, fixing our experiments, and getting ready for our first EVA, we had a nice lunch with our first dried vegetables. After the lunch, the all crew worked on the EVA preparation to help the ones going outside and to learn the EVAs functioning. The EVA went fine and we will deploy our experiments tomorrow. Our first bread is baking. Look Ahead Plan: Because of the wind planned for today, only one part of the crew went out for an EVA in the Hab surroundings to select a location to deploy our air sensors, MegaARES and LOAC. Tomorrow the other part of the crew will go to their first EVA to deploy our experiments. Crew Physical Status: Fine, already a bit tired from the first physical training.